Wittenberg at dusk (9 July 2018). Welcome to Wittenberg and #marlowe18! 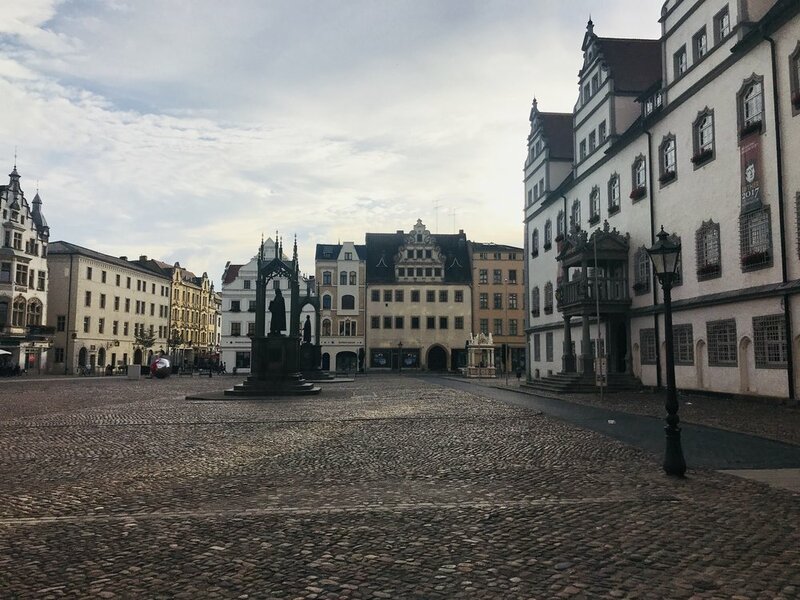 The Marlowe Society of America's Eighth International Conference in Wittenberg, Germany, begins later today! We are excited to welcome more than 80 scholars from around the world for four days of panels, keynotes, performances, sightseeing, and lively conversation. The full program is available here. Please check back here each morning this week for re-caps of the previous day's talks and events written by the brightest early career scholars in the field. And, as always, follow along and connect with us on Twitter @MarloweMightyLn. The hashtag for the conference is #marlowe18. Keep up to date with MSA events and deadlines by visiting our website, liking us on Facebook, or following us on Twitter @MarloweMightyLn. RT @eoin_price: Anyone intetested in reviewing Sam Wanamaker Doctor Faustus for @MarloweMightyLn Newsletter? It's on until the end of the month!